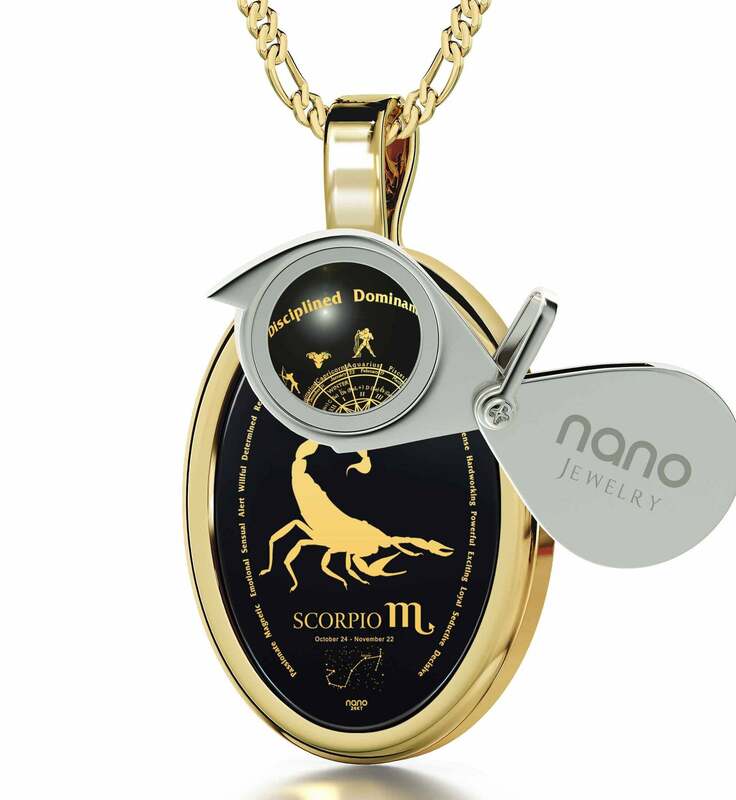 14k Gold Scorpio Necklace, Inspirational Nano Jewelry. Gift One Today! 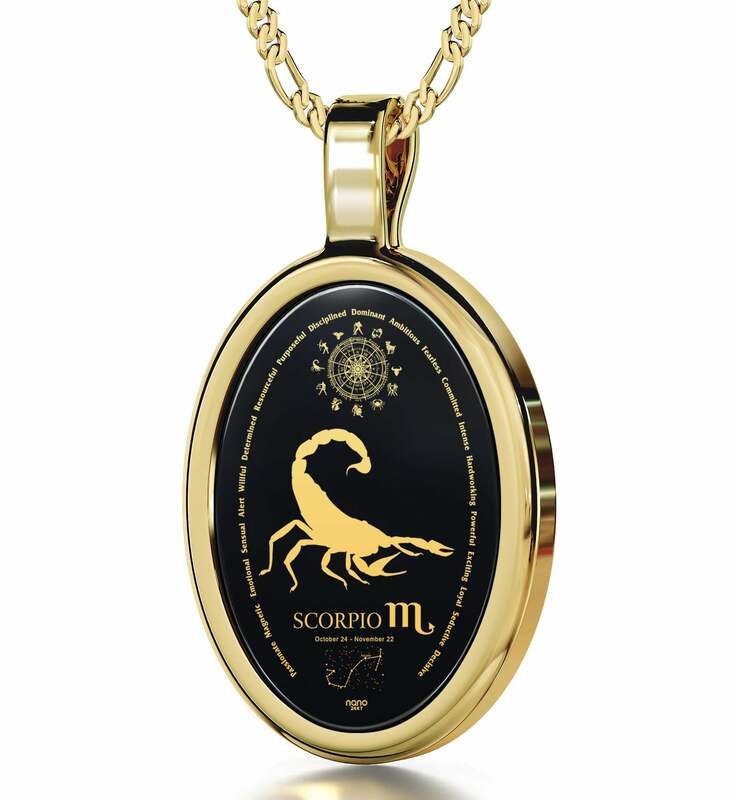 An unshakable determination and powerful ambition are Scorpio traits female and male members of the sign exhibit that make them great to be around. Motivated leaders in the workplace and committed partners in a relationship, they make the world move in new and exciting ways. 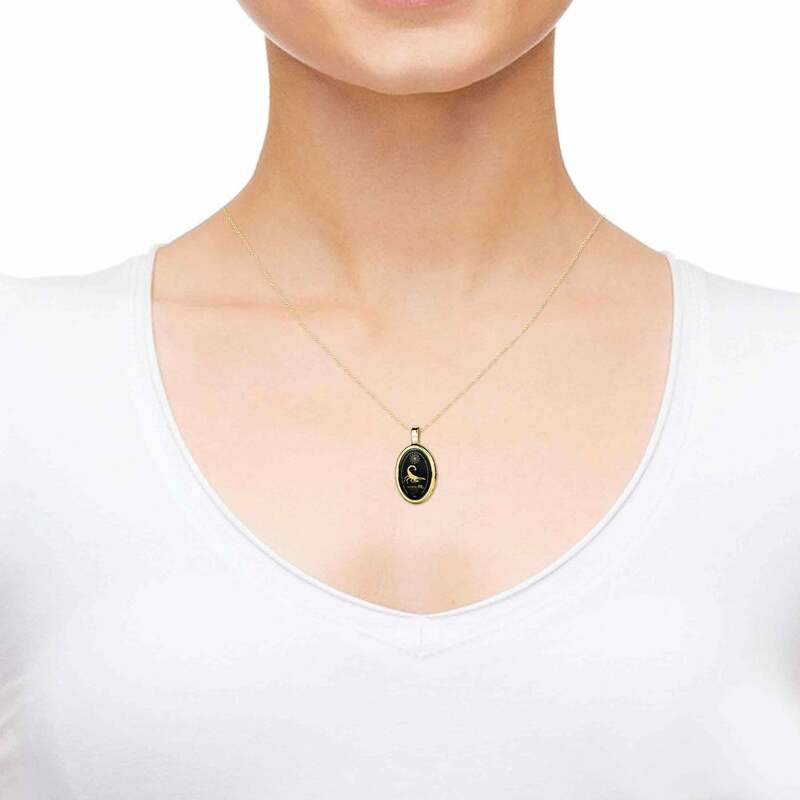 To show them how they move yours, you’ll want to surprise them with a top gift for husband or wife alike that starts conversations and celebrates their driven nature. 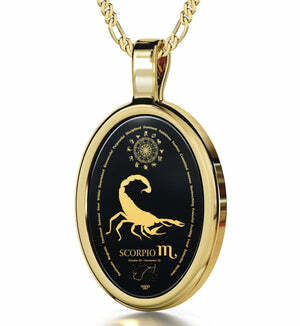 A Scorpio necklace presents itself as the perfect solution, especially if it is a one-of-a-kind. 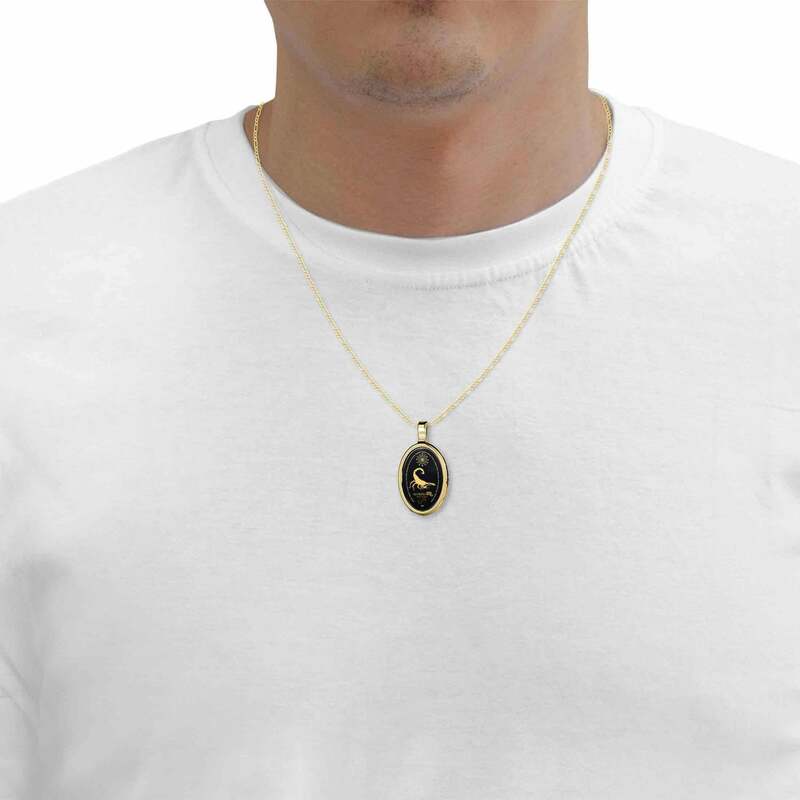 Sure, its 14k yellow gold oval frame and dainty Italian chain are beautiful in their own right, but its centerpiece is the thing to look out for. The natural onyx stone at its heart is imprinted using pure 24k gold. This is accomplished through a special process that makes a hitherto unimaginable level of detail possible and that can’t be recreated anywhere else in the whole world. You’ll be hard-pressed to find another birthday surprise for her or him about which one can say the same. 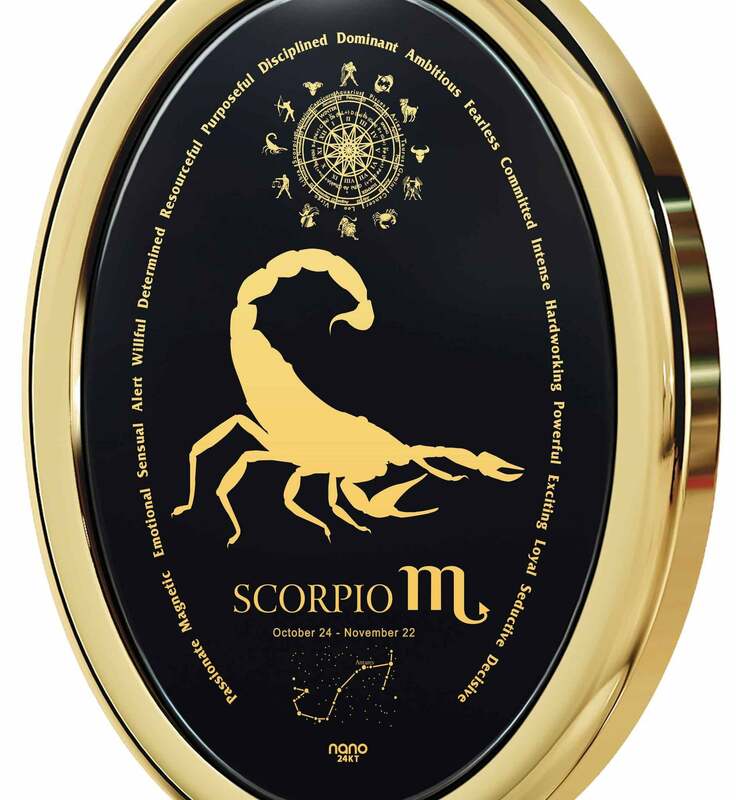 The inscription depicts a poised scorpion, the traits of Scorpio, its Greek name, sign, constellation, birth dates and the whole Zodiac. 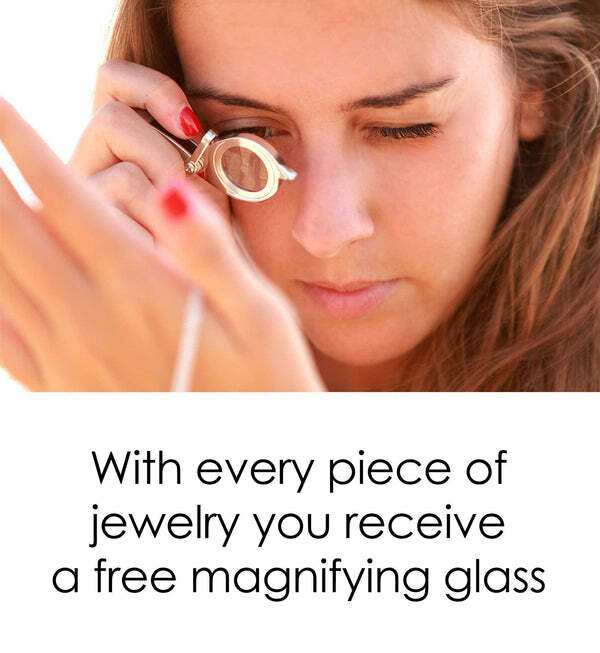 No star or line will remain unexplored thanks to a special magnifying glass, we’ve also included. It wouldn’t be a cool present without an equally awesome box to come in, and we’ve made sure that it is almost as intriguing as the necklace inside of it. Scorpios take life by its horns and don’t let go until they get what they deserve. That might be money or adventure, but it might just be a special gift from someone they love too.